I think I am now in the situation of: GREAT OPPORTUNITY FOR NEWCOMMERS..
Is it just my feeling or a proper contract should include more details than these? like the number of illustrations, grant of rights, the credit, copyright, royalties, cancelation, competitive works, etc, like a proper contract they is usually made between an illustrator and a publisher/author? How do you other illustrator fellows proceed? Any suggestions about how it's safe to proceed in order to protect the artwork. Do you use upwork messages or it's ok to use personal email also? Thank you ! 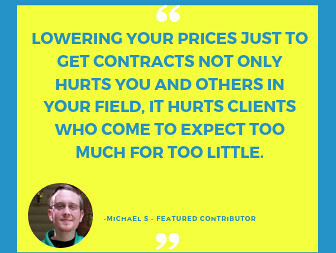 From the way the RFP is written, the client wants to pay the lowest rates for a new freelancer or a freelancer new to the site. It is up to you to decide if you want to continue on these terms with the client. But you certainly need to discuss with the client exactly what is expected for the price agreed (number of illustrations etc.) There are ways you can negotiate intellectual property rights, or credit for your work. However, when you sign up, Upwork's ruling on this is quite clear - you renounce all rights. However, it does seem from your post, that your client has done everything needed to set up a contract correctly. So I am not quite sure what your problem is. It also helps to be familiar with Upwork's user agreement on this subject. Upon Freelancer’s receipt of full payment from Client, the Work Product, including without limitation all Intellectual Property Rights in the Work Product, will be the sole and exclusive property of Client, and Client will be deemed to be the author thereof. If Freelancer has any Intellectual Property Rights to the Work Product that are not owned by Client upon Freelancer’s receipt of payment from Client, Freelancer hereby automatically irrevocably assigns to Client all right, title and interest worldwide in and to such Intellectual Property Rights. Except as set forth above, Freelancer retains no rights to use, and will not challenge the validity of Client’s ownership in, such Intellectual Property Rights. Freelancer hereby waives any moral rights, rights of paternity, integrity, disclosure and withdrawal or inalienable rights under applicable law in and to the Work Product. If Freelancer has any right to the Work Product, including without limitation any Intellectual Property Right, that cannot be assigned to Client by Freelancer, Freelancer hereby automatically, upon Freelancer’s receipt of full payment from Client, unconditionally and irrevocably grants to Client during the term of such rights, an exclusive, even as to Freelancer, irrevocable, perpetual, worldwide, fully-paid and royalty-free license to such rights, with rights to sublicense through multiple levels of sublicensees, to reproduce, make derivative works of, distribute, publicly perform and publicly display in any form or medium, whether now known or later developed, make, use, sell, import, offer for sale and exercise any and all such rights. If Freelancer has any rights to such Work Product that cannot be assigned or licensed, Freelancer hereby automatically, upon Freelancer’s receipt of payment from Client, unconditionally and irrevocably waives the enforcement of such rights, and all claims and causes of action of any kind against Client or related to Client’s customers, with respect to such rights, and will, at Client’s request and expense, consent to and join in any action to enforce such rights. 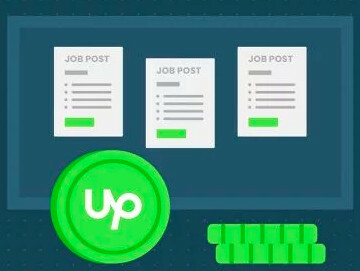 Stick to Upwork for as many of the correspondences as you can; don't start until the contract addresses all the areas you need it to and make sure it is signed by both parties before beginning. I read all of the posts regarding job warning signs and I found it interesting. I am a newbie, and posted that I wanted someone to finish my website started by Godaddy. I made the mistake of hiring thmem and assuming they knew what they were doing, and worth what they charged me. I had Go Daddy redesign my original website, **Edited for Community Guidelines**, and create a new website that is an e-commerce site. I spent $1500 on each site, and was paying $500 a month for SEO services on my e-commerce site, **Edited for Community Guidelines**. I travel a lot in my business, and I take responsibility for some of the problems we had getting this up and running. But, I don't feel like Go Daddy heard me when I kept saying I had created some gag gifts based on the presidential election in November and time was critical to me. When I finally Felt like I needed to do something to get the ball rolling I requested help on your site. I agreed that one of the persons who bid on my site would do the job. Several days later, I received notice that that person decided they didn't want to do the job. So, from a buyers standpoint, I'm not overly impressed with your site. That sounds like a rough experience. 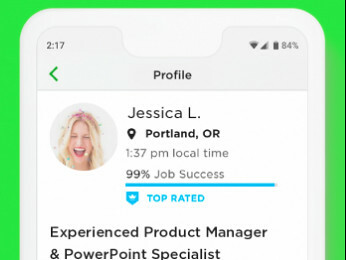 What you, and many others may not realize, is that the level of talent found in both clients and freelancers on Upwork is variable. Upwork is a platform where people with abilities can get together with people who need work done; but that doesn't mean that the results are always predictable. It sounds as if you needed some fairly specific and technical work -- web design isn't for everyone. Also, I know from experience that Go Daddy is not the easiest platform on which to create a website. While it might be a little late, and seem redundant, I recommend that you look at Google Sites. They are free to use, and are extremely user friendly. Meanwhile, create a breadboard mockup of what you want your website to look like and do. Sometimes the big problem is lack of clarity in communication. Armed with those things, look for freelancers who are specifically interested in web design and possibly even have some programming skills. Darren , thanks for this list! I totally agree with you. Another warning sigh would be when description says job is for a 'non-profit organization'. Usually means still haven't made any money, meanwhile lookin for a free meal.